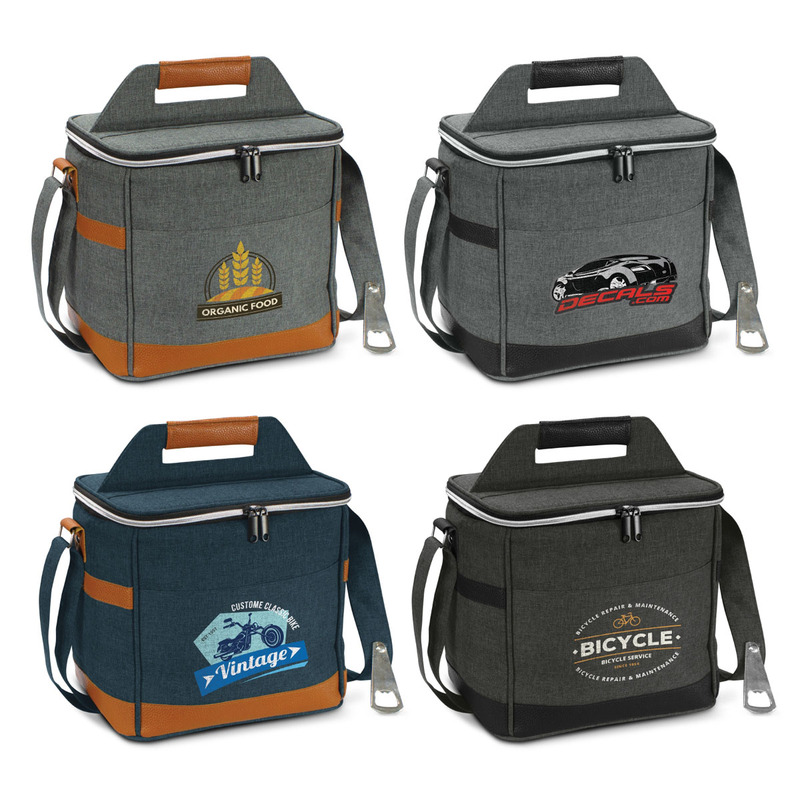 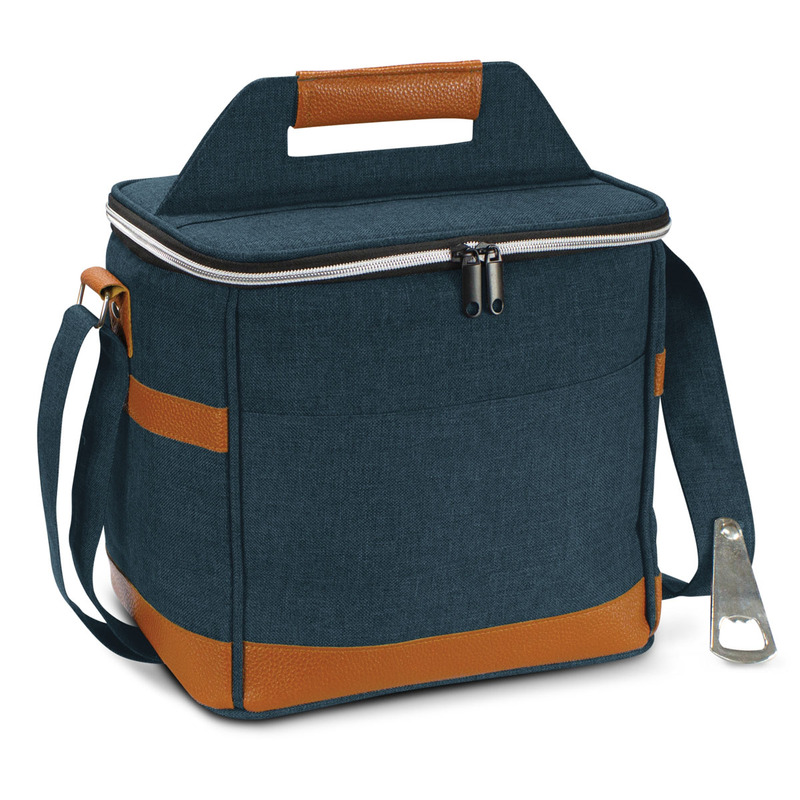 These 13L cooler bags are a premium choice and a brilliant gift idea. Please Note: Stock arriving for Black, Grey/Black, Navy/Tan mid June. Fashion meets functionality, these cooler bags feature an outer construction made from poly-canvas with coloured fibres to create a heather style two-tone fabric. They have a thick PE foam insulation encased in a waterproof PEVA inner liner and a bottle opener riveted to the strap. Other features include: an adjustable shoulder strap, a carry handle, a slip pocket on the front and a top closure with smart electroplated silver zip. 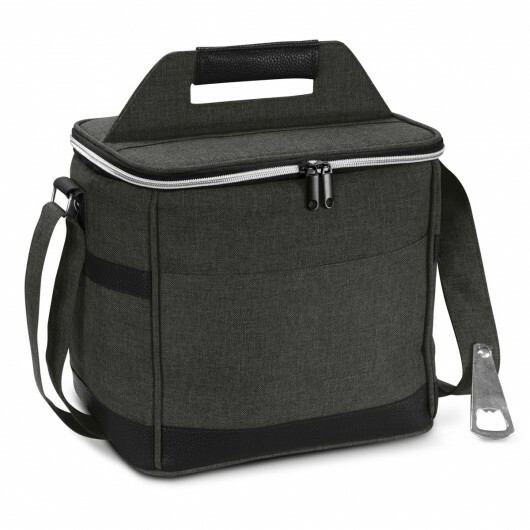 Dimensions H 190mm x W 280mm x Gusset 250mm (excludes handle and strap) Handle Length: 115mm.